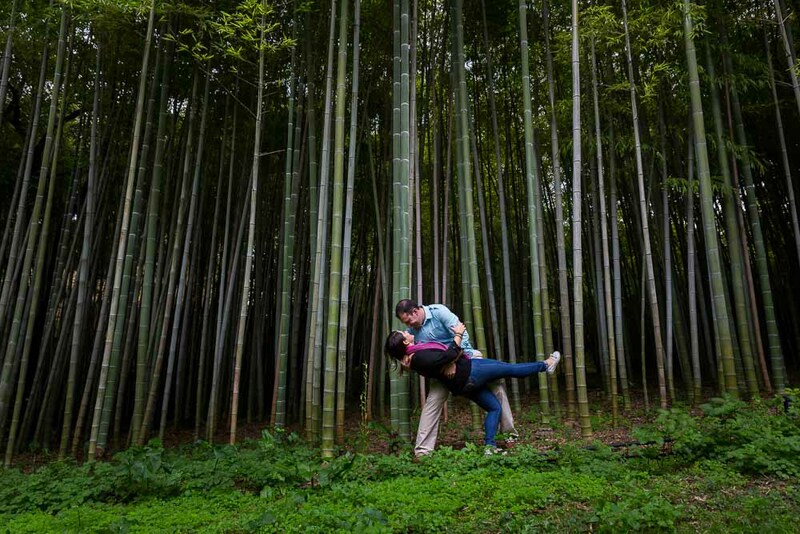 A most beautiful and serene location for a very intimate wedding proposal. The Botanical Garden in Rome [Giardino Orto Botanico]. 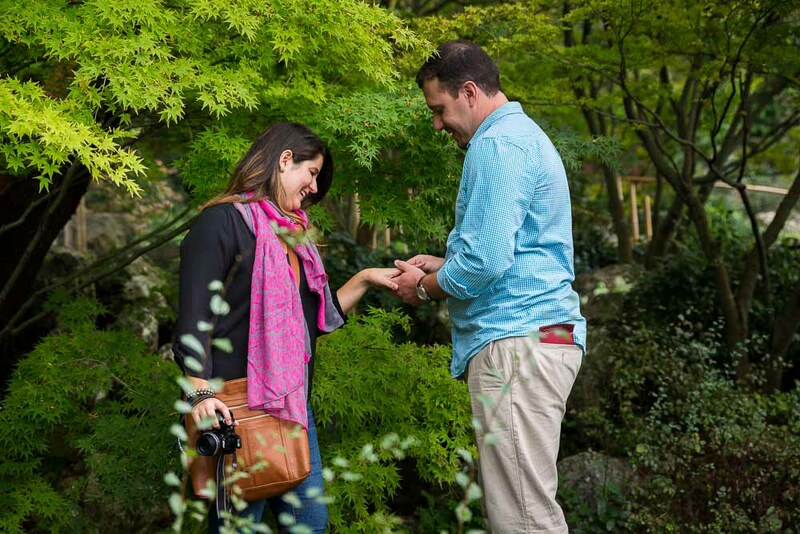 With the stunning Japanese garden and the small little wooden bridge which crosses over a water creek. 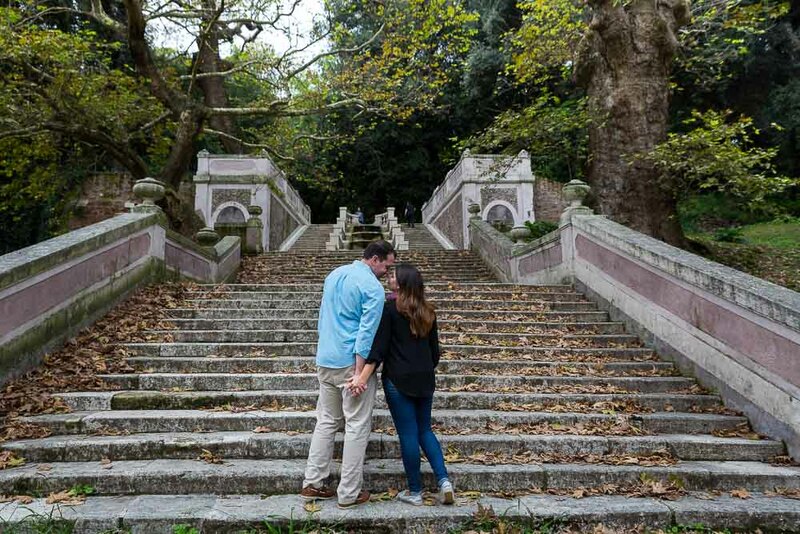 This is the spot we choose for the proposal and it came out just perfect! 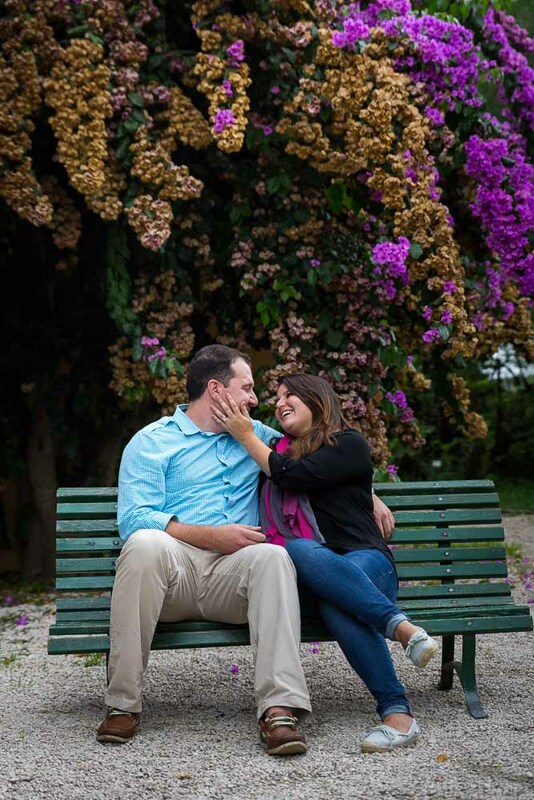 After making acquaintance we moved over to take some engagement pictures in the environs. The park has so much to offer in terms of locations. 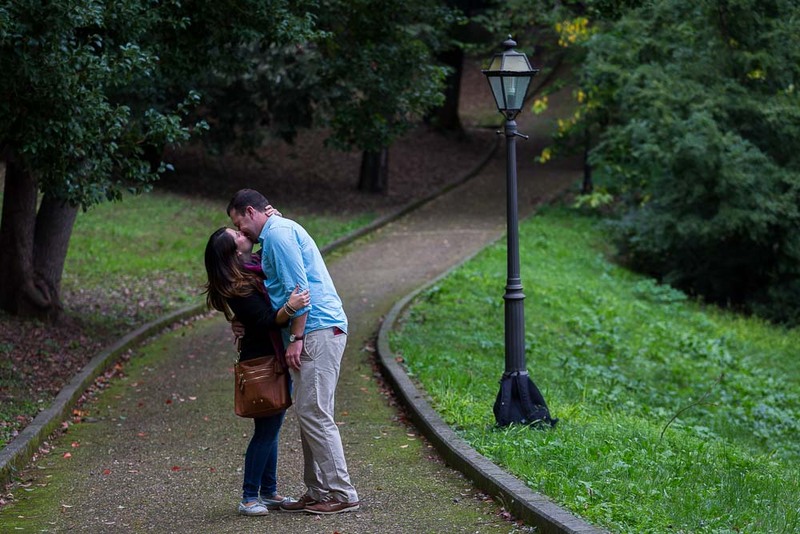 With small romantic pathways lit by lampposts. Scenic historical water fountains and stairs with autumn leaves. 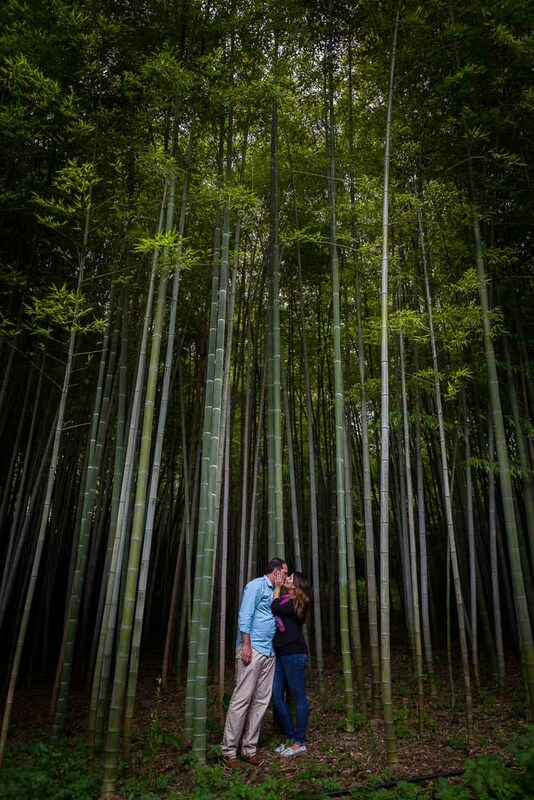 And let’s not forget the bamboo forest which creates such interesting lighting. 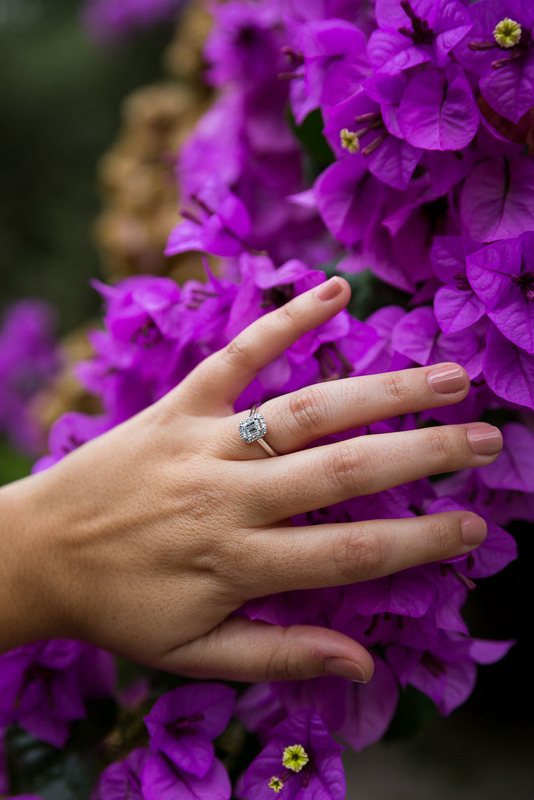 We concluded the session with a photo of the beautiful ring over bright colorful flowers. Throw your hand in the sky proposal! 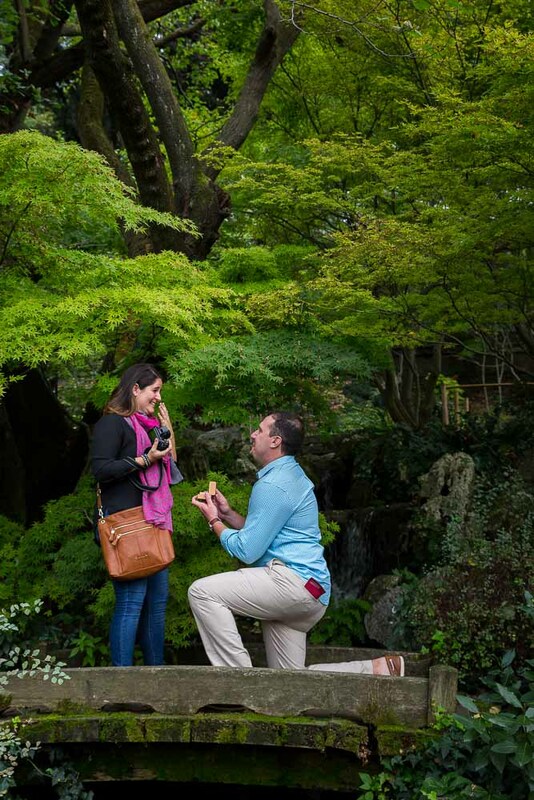 Wedding marriage proposal photographed inside the Botanical Park by the Japanese garden. 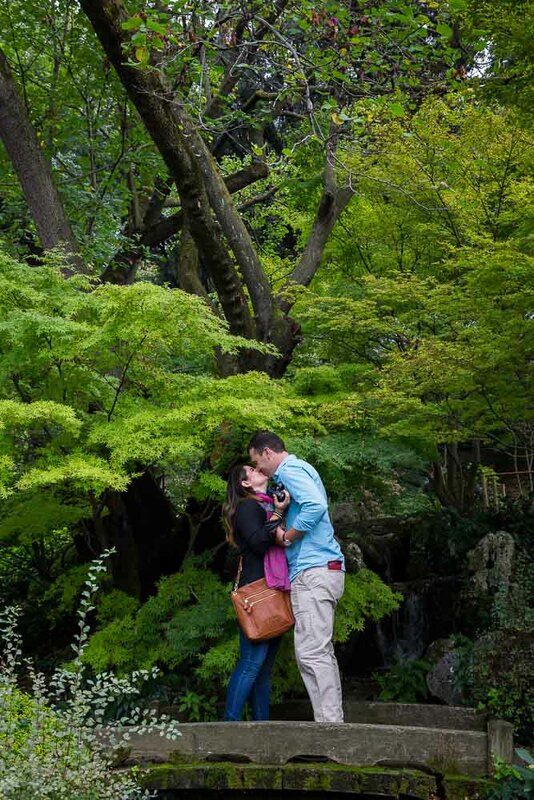 A fluorescent green park environment for beautiful engagement pictures!